Videographer LivinginGraceWOTW2: "We have NO IDEA what we had captured"! 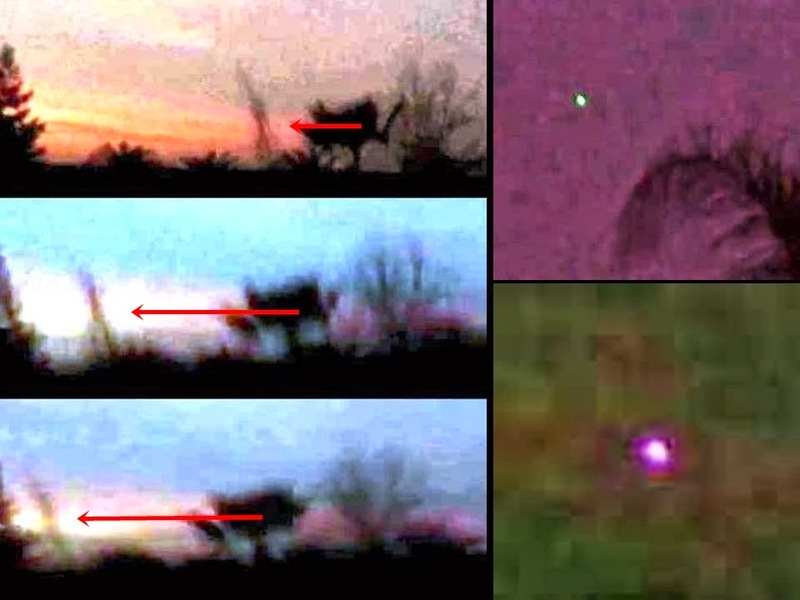 LivinginGraceWOTW2 focuses on the UFO but the most bizarre part of the footage is directly at the beginning (00.00 to 0.11 minutes). Look carefully and you see a (cloaked) tall skinny walker. The alien moves from right to left. Screenshots taken from the video - Enlarged/auto adjust colors for better results. As for the "Orb", it came straight down out of the sky like a Meteor and then started hovering and just vanished! 30 Miles North of downtown Sacramento! 10 Miles South of Marysville, CA in the NW Sky! I completely disagree. It is not a tree, because the object is not stationary. I realize the cameraman is walking but the object does in fact move. After speaking with Ron for some time now who runs this site, I know for a fact he spends a lot of time researching and looking for new material so we should really appreciate the effort he puts in to bring these stories to us. Prophet there is bound to be fakes in amonst the real but isn't that what we are here to discuss and find out? If we knew the facts we wouldn't be here on this site searching for answers. As for this video, I don't think it's a tree unless it can move and change shape. I'm thinking if it isn't fake it could be a dust storm or tornado in the distance, seems reasonable. For now it remains unexplained! I'm a big fan of this website and have been for some time, hence why I post the links, to show the OP a reasonable explanation. Its not a matter of whom may be right or wrong. What is important is the mulling of evidence through the filters and debates of many till what is left is as close to fact as can be discerned. Some times we get fake stuff here, some times we get stuff that cannot proof or evidence enough be found. It doesnt matter. We develop skills, and we develop educated philters, and the many varied puzzle pieces come together for those whom can no longer live in the illusion and find them self compelled to reach beyond the vale to see the greater picture. I value All of you. Thank You, Varakienen. Please keep doing what you are doing. We appreciate it!! Man always wants proof this, proof that, proof, proof and proof!! We as human beings have to look under the a little deepr VEIL! Something is really happening here on our planet Earth/Shan. Everyone need to stop waiting on the GOVERNMENT for DIS-CloSURE LIES. We were contacted in the late 1940s or earlier. It just that some PEOPLE want to keep us MASSES in the dark and play US ALL as stupid SHEEPS! Well with that said I'm not going over the CLIFF! I do not believe that was a tree... At 240 in the video the tree isn't there anymore! Whatever it was, it was moving. This much I know. Perspective is not right here. Sorry.